If you looking to buy items from Amazon that will only deliver to a US address, this is the guide for you. I will show you step by step how to do it using comGateway and get your package to Singapore. I have used their service twice and received my package on time. This will of course work with any other third-party shippers. vPost. For comGateway, you can register an account for free at their website. After registration, you will get a US address. With comGateway, your address will in Sandy Boulevard, Portland, Oregon. vPost address is now at North Bybee Lakes Court, Portland, Oregon. To avoid paying export tax, overseas shipping companies locate themselves in Oregon (the other export tax free state being Alaska). 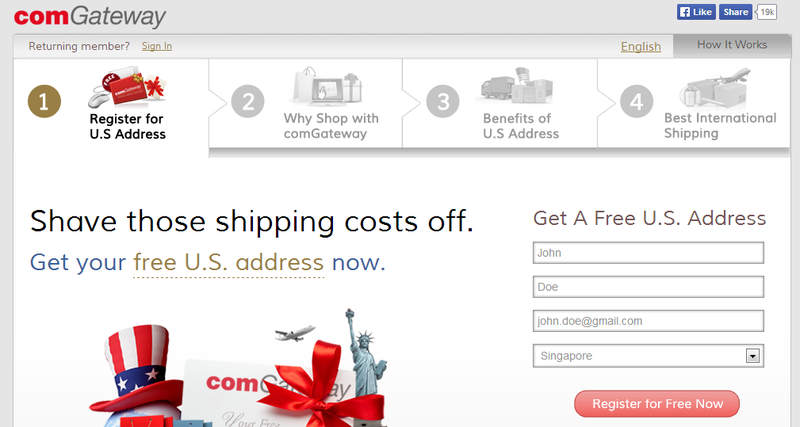 comGateway claims to have the lowest international shipping rates with their partner. Based on my calculations and comparison with its competitors, this is indeed the case. Using the online cost calculators of the websites, I compiled a table of different shipping weights. Click here for comGateway cost calculator. 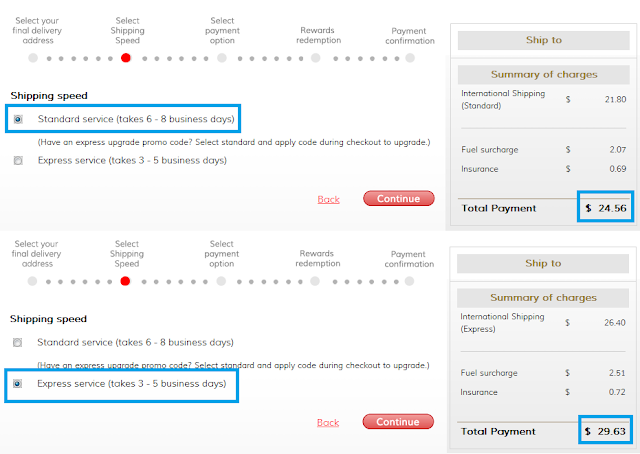 The shipping rate table on comGateway shows to calculate the cost of shipping a package. It is US$11 for the first 0.5kg and US$2.85 for additional 0.5kg. This does not include the fuel surcharge and insurance yet (read on to find out). If you want express shipping, you can pay more. I recently bought some items from Amazon on Black Friday. As the items did not allow for overseas export, I had to get them to delivered to the comGateway US address first. If your items is eligible for AmazonGlobal, you get free shipping when you spend US$125 and above as mention in my earlier blog. I paid for my item in USD and the bank used a rate of 1USD to 1.299 SGD. This is way lower than the SGD rate Amazon is giving. * If this is your first time at Amazon, signing up for an account is easy. They have a Amazon Prime program that has free trial for 30 days - gives free 2-days shipping, unlimited video streaming (requires a US VPN) and borrow ebook for free. · 009 Buna-N O-Ring, 50A Durometer (Pack of 125) for my mechanical keyboard. Amazon includes a tracking code that you can use to track directly on the carrier website. Mine was being delivered by UPS and I was able to search the code on Google that brought me to UPS. Below is a screenshot on UPS tracking website below. The additional information you get here is the package weight: 2.5lbs or 1.13kg. 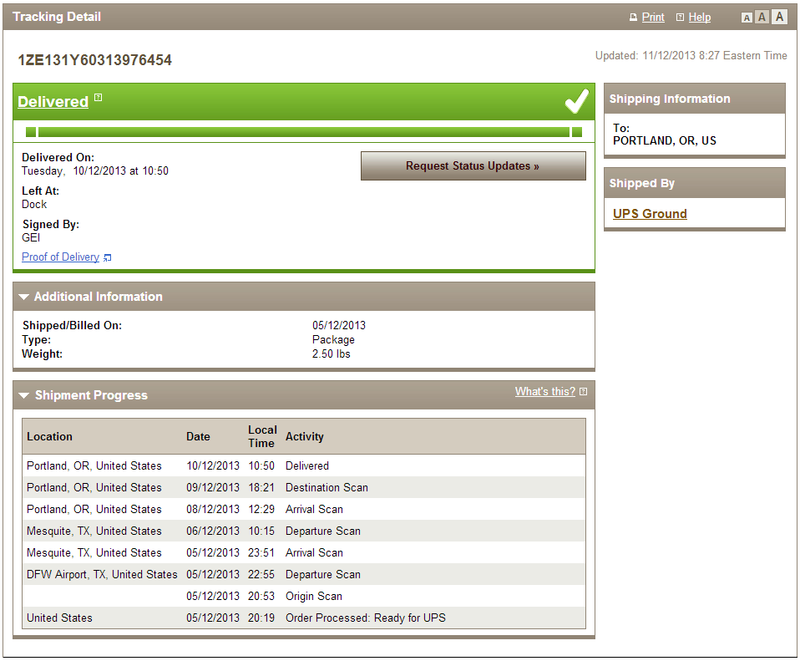 After six days, my package reached the US address and comGateway signed for my package. Next, comGateway took a few hours to process and measure my package. Then the package was available on their website ready for shipping. Notice that the chargeable weight is 2.5 kg which is way more than the 1.13kg indicated on UPS. This is because of an industry practice to take the higher value between the real weight and volumetric weight. Imagine someone shipping a very large and empty box. Because the person is shipping air, its actual weight is very light but it is cost prohibitive for the shipper as he can place less packages into his container. Hence, the volumetric weight assigns a weight value based on the volume of the package. The higher value of the two weights is used and this amount further rounded up to the nearest 0.5kg. If your package comes up to 2.01kg, you will be really unlucky to have paid for the 0.49kg. 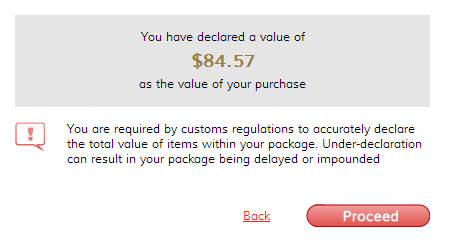 It's important to declare the correct amount that you paid for your package. The Singapore custom use this value to determine if you need to pay GST and how much to charge you if needed. The carrier also use this value to calculate the insurance amount to pay. If you under report the amount, the insurance claims on your lost package will be the declared amount. You can see why this is important now. The insurance rate that comGateway charge is 0.65% of the total amount (inclusive of the shipping fee). There are two shipping speed to choose from. The Standard service takes around 6 to 8 business days to deliver but it is cheaper. The Express service is about 2 times faster and cost around 20% more than the Standard. If you want your bundle of joy faster, it's better to go with Express. Read on to find out how to upgrade to Express service for free. If you are DBS/POSB credit or debit card holder, it's time to break your card out of the wallet. You get a discount of 5% plus a free upgrade to Express service. This offer is valid until 31 Dec 2013 and DBS may renew their promotion with comGateway next year. There is no need to enter the promo code manually as long as you entered a DBS/POSB credit card number. comGateway automatically detects and does the deduction and free upgrade for you. I also had a $10 CGW dollar accumulated from my first purchase which I used to offset this payment. Note that the payment amount is in USD. From my experience, DHL has the best carrier service. They give me confidence that my package will arrive on time if not earlier. The DHL team process package at each check point in the shortest amount of time and the package do not stay at the same checkpoint for more than a day. Apart from that, the status of the package is always up to date and you can subscribe to the status update by SMS or email. As you can see the travel path of my package, they processed the package at South Korea, Incheon Airport and delivered it to Singapore in one day. I am also impressed with the details of the status update that marks all the check points in the journey. 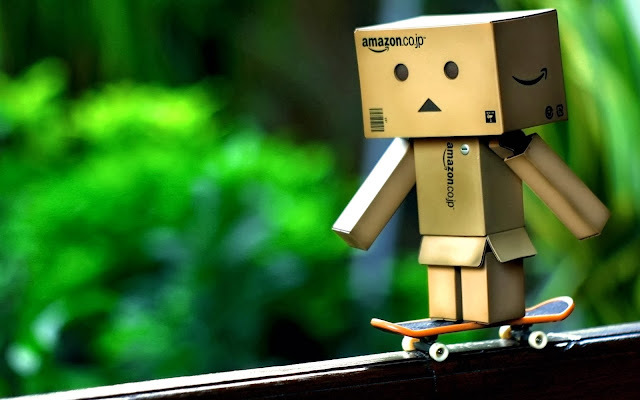 Although it doesn't make the package arrive any time, it is better than waiting for an unknown. DHL delivered my package in four days on a Saturday. I wasn't expecting the delivery man to come knocking on my door on a weekend. What a pleasant surprise it was anyway. I ripped my package and started playing with my toys. One thing I noticed was that my package was opened before and sealed again with a clear tape. Amazon uses a unique tape that has their logo stamped over. It is obvious when the tape has been cut. My guess is either comGateway or the Singapore customs has selected my package for inspection. As they did not find prohibited items, my package was let through. 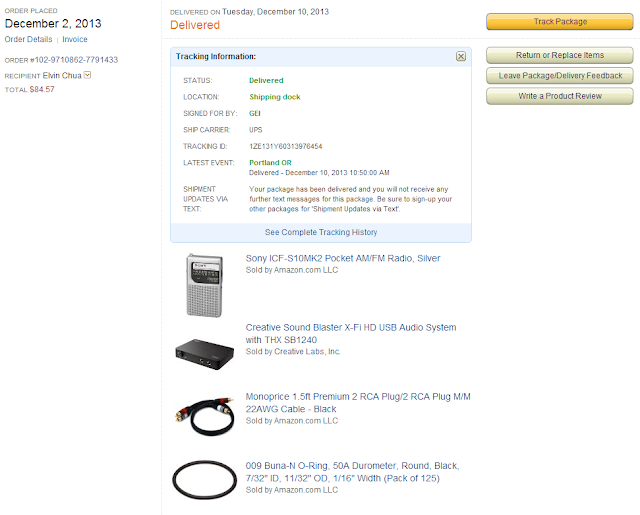 I was thinking if the reason for inspection was due to the label "Do not ship by air" pasted by Amazon. Magnetized Material: Do not ship by air. Seriously? Another thing I did was to measure the Amazon box. I wanted to know if the volumetric weight reported by comGateway is correct. My measuring tape indicated 33cm x 40cm x 9.5cm which should only be 2.09 kg in volumetric weight. This is off from the 2.31kg measured and indicated by them. I will be very careful if shipping bulky items because the volume increases by a lot when you add an extra cm here and there. It can turn out to be a costly affair. Using a carrier to ship your items over is daunting for a first timer. If you follow the steps I have listed, you can shop and ship bravely. If you have questions about any steps, leave them in the comments and I will get back to you. 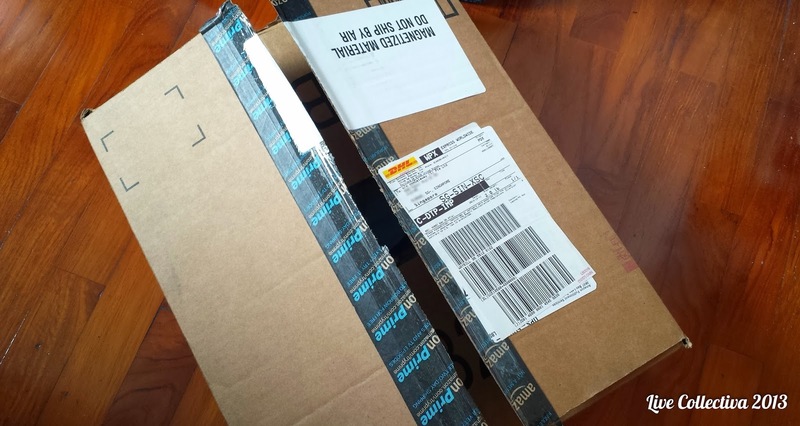 AmazonGlobal: Free Amazon Shipping to Singapore on purchases over USD $125 - Do you know you can get free shipping when you buy AmazonGlobal eligible products?